Although the literature on flipped instruction to date appears to be relatively atheoretical, the benefits listed in the flipped literature fit well with theories of optimal learning environments (e.g., Egbert, Hanson-Smith, & Chao, 2007) and student engagement (Lin, 2012, and others). 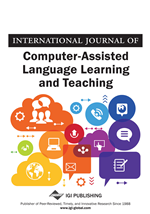 This conceptual paper links flipped instruction to these two models and then briefly describes an ESL teacher education course that involves U.S. pre-service teachers learning Chinese online as part of a flipped classroom. The paper concludes by suggesting how flipped instruction might work in other CALL contexts and related issues. Much has been written lately about the “new” method of “flipped” instruction and its potential to revolutionize instruction across disciplines (see, for example, Bates & Galloway, 2012; Bergmann & Sams, 2012). However, not much on this topic appears in the CALL literature. Such ideas need to be explored and assessed, and effective uses of technology to support student learning must be constantly updated and shared. Therefore, this paper explores flipped instruction in CALL classrooms. The purposes of this conceptual paper are: 1) establishing a theoretical basis for flipped instruction by relating it to two models, one of conditions for optimal language learning environments (Egbert, Chao, & Hanson-Smith, 2007) and the other of task engagement (Lin, 2012), and 2) briefly describing and assessing an ESL teacher education course that involves U.S. pre-service teachers learning a foreign language online as part of a flipped classroom. To conclude this paper, we suggest how flipped instruction might work in other CALL contexts and related issues. With this work we hope to initiate discussion and research on flipped instruction as part of the CALL repertoire. Like many terms that come into the education lexicon and are taken up in a variety of contexts, flipped instruction does not yet have a set definition that is used across media. In U.S. settings from K-adult classrooms and in disciplines as distinct as math and history, strategies for flipping that appear similar have even been given different names. For example, Eric Mazur of Harvard found that computer-aided instruction allowed him to “coach” instead of “lecture”; he called his model peer instruction (Mazur, 1991). Baker (2000) coined the term “classroom flip” in the late 1990s when describing his strategy of presenting course content on a course management system, allowing opportunities for active learning during class time. Similarly, Lage, Piatt, and Treglia (2000) introduced inverted instruction, a strategy which allowed them to differentiate instruction through the use of computer-based lectures and student-centered class time. The way this has been traditionally interpreted in schools, entire K-12 districts, and higher education classrooms, is generally that students watch instructional content videos outside of class and then work on problems in class. The Khan Academy (http://www.ted.com/talks/salman_khan_let_s_use_video_to_reinvent_education.html). Overall, the goal of flipped instruction is to engage and support students to achieve.